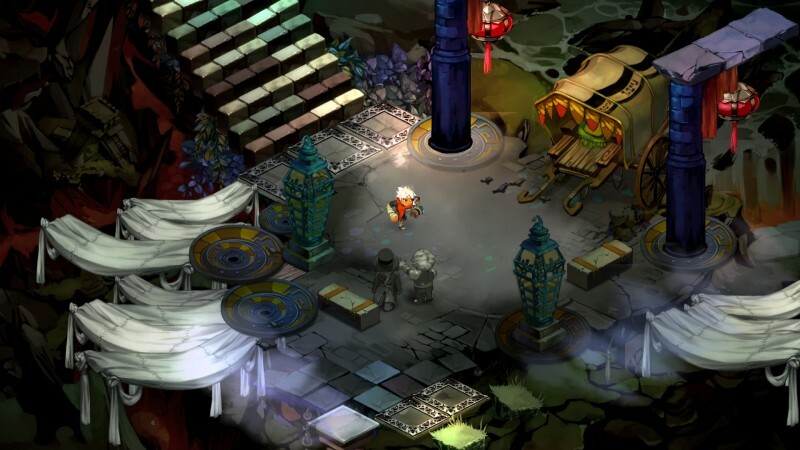 Supergiant Games’ debut effort isn’t just good – it’s a must-play. 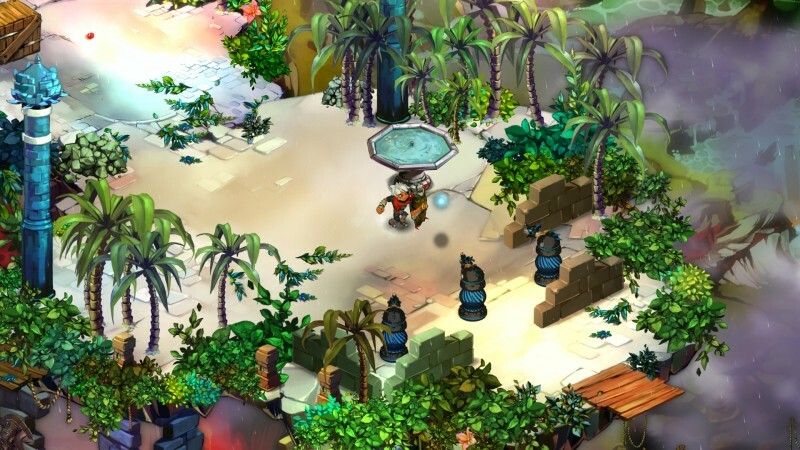 Bastion’s surface concept is familiar – explore a fantastical world, kill monsters, level up, and collect rewards. Those elements are implemented extremely well, but they aren’t the main draw. Instead, it’s the realization and implementation of the world and its characters that entrances players. 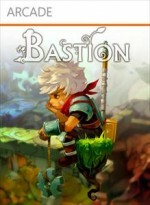 By wrapping every gameplay element around story conceits, Bastion becomes something new and exciting. As the well-written narration, excellent music, and bright visuals draw you in, the game feels like a storybook in which you control the outcome. The sensation of discovery is at the heart of Bastion, so sharing story details is prohibitive. Here are the basics: you play as the Kid, who wakes up on an island floating in the sky to find his world destroyed around him. A horrible calamity has befallen his people, and he must rectify the situation. As he wakes, a distinctive voice begins to speak, telling the Kid’s story as it unfolds. Walk one path, and the narrator tells you why the Kid chose that way. Walk the other path, and the voice might foreshadow what lies at its end. 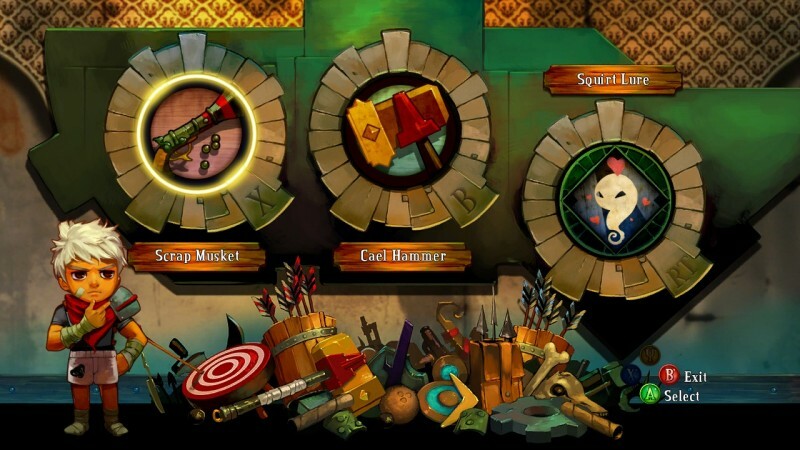 Choose a combination of weapons to take out on your journey, and he comments about that particular load-out. Retry a challenge, and he remarks about the Kid’s indomitable resolve. The excellently written and smartly acted narration lend a new layer to the sense of progression. You don’t just want to complete that challenging mission or get that elusive piece of gear for its own sake; you also want to hear what the narrator has to say about it when you do. The game is split up into discrete levels of the broken land through which the Kid must travel. Individual stages feel different from one another thanks to a broad selection of environmental art and clever design twists. Where one level falls apart as you run for safety through the city, another is a dangerous jungle where your enemies are obscured amid the overgrowth. Many areas move the story forward, introduce new weapons, and send the Kid deeper into the wilderness. Other short challenge stages offer a chance to test your weapon skills to win prizes, helping to break up the story with side events. A few particularly intriguing optional levels put a twist on the familiar enemy wave arena-style fights; each wave unlocks a new revelation about one of the main characters’ backstories. As the story continues, several rewarding upgrade options become available. 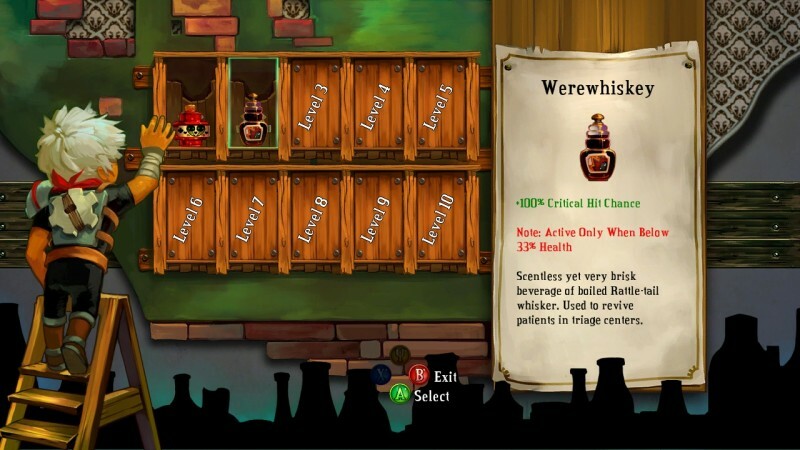 Killing monsters earns you XP for increased health, but it also unlocks slots to apply additional tonics that boost your fighting ability. The Kid can carry two weapons and equip one special ability at a time, and you can find large numbers of both along your journeys. Weapons are creative and varied, running the gamut between explosive ranged devices and devastating melee, and each can be upgraded along a limited branching progression. Players can also ratchet up the overall difficulty in exchange for increased money and XP by calling on ancient, but capricious, gods that alter enemy capabilities. Battles are a lot of fun, even if they don’t always have the depth, speed, or complexity of a true action game. Exploring the world and uncovering its secrets is equally engaging, but like the battles, it’s limited in scope. With the exception of a few short side routes, most levels have a relatively linear progression. While the idea of a floating world that comes into being as you walk toward it is cool, you’ll get frustrated more than once as you fall off the edge. But don’t worry too much – you’ll only take a small health hit for your misstep. The more subtle design elements are what make this game magical – the moments of discovery that peel away the layers of story, the thrill of coming across an abandoned weapon left behind by the old world, and the startling choice that closes the game. The sounds and images stick in your mind after you complete the game just like when you closed the final page on a favorite childhood picture book. 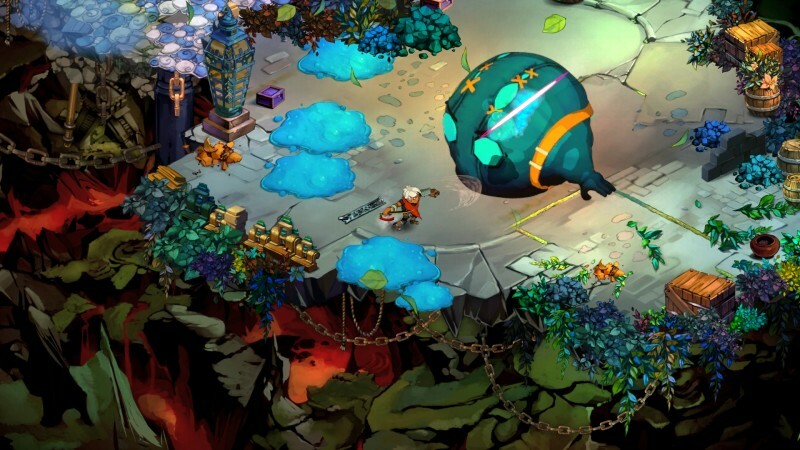 Bastion makes a good case for the idea that simple gameplay, straightforward design, and a clear guiding vision for art, music, and story can go a long way to making a good game great. Simple but polished gameplay is enhanced by an unforgettable tale, and Supergiant Games' debut emerges as one of Xbox Live Arcade's greatest adventures.